Babu Owino to host NASA at Jacaranda grounds, Embakasi East during Railonzo Presidential bid papers presentation to the IEBC. - Bana Kenya News, Real African Network Tubanane. 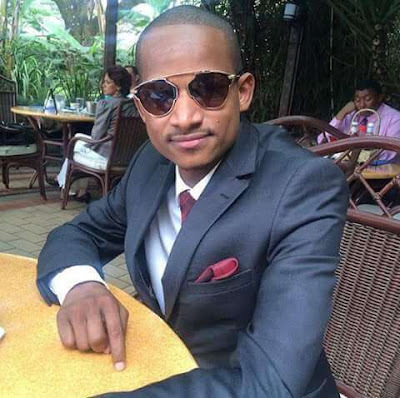 Home featured Nairobi Babu Owino to host NASA at Jacaranda grounds, Embakasi East during Railonzo Presidential bid papers presentation to the IEBC. Babu Owino to host NASA at Jacaranda grounds, Embakasi East during Railonzo Presidential bid papers presentation to the IEBC. The Embakasi East ODM aspirant Babu Owino will be welcoming NASA flag bearer Raila Odinga and his running Kalonzo Musyoka at Jacaranda grounds for presenting official their Presidential bid Papers to the IEBC. The Rt Hon Raila Odinga and H. E Kalonzo Musyoka will tomorrow present their Presidential Papers to the IEBC; this is the last legal requirement before clearance by the Commission to begin official campaigns ahead of the August 8th elections. You are welcomed to add your voice to the 10 million strong at Jacaranda Grounds in Embakasi East. The NASA supporters are also invited at the Jacaranda grounds. As Odinga went to Kakamega to cool down the high political temperature between the Ford K aspirant and ODM members other Key NASA leaders were in their respective regions campaigning for their coalition. The Jacaranda ground paper presentation rally will host all NASA aspirants in Nairobi led by County Governor Dr. Evans Kidero. The other NASA leaders are expected to attend before going to Kakamega to launch the presidential bid next weekend.